“When stories are told several times over, they become myths and legends and the truth often gets hidden within layers. 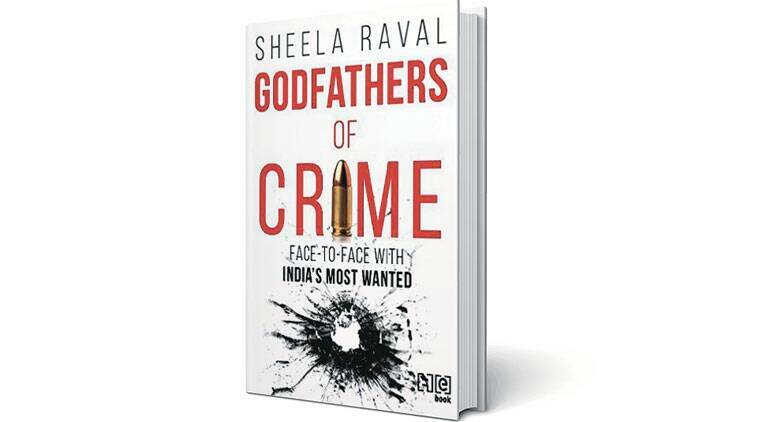 In many ways, this happened with the dons of Mumbai’s underworld,” writes veteran investigative journalist Sheela Raval in her book, Godfathers of Crime, Face to Face with India’s Most Wanted. Besides the police and intelligence agencies, journalists reporting from Mumbai in the ’80s and ’90s were likely in the best position to track the organised criminal gangs operating in the city’s underbelly — their key players, power structures, alliances and unpredictable shifts in loyalties. With nearly three decades of experience in print and television reportage, investigative journalist Raval writes with authority about her interactions with Mumbai’s infamous dons — Dawood Ibrahim, Chhota Shakeel, Chhota Rajan, Abu Salem, Iqbal Mirchi, Arun Gawli, Ashwin Naik and Santosh Shetty. While the meteoric rise of gangsters like Dawood and Rajan is quite well known and has been chronicled several times over, what elevates Raval’s book from a run-of-the-mill narration are accounts of her personal interaction with these dons over three decades. The rare degree of access enjoyed by Raval allows her to give insights into the “minds and personalities of these men”, as she puts it. Dawood Ibrahim’s insistence on maintaining tehzeeb — requesting for a glass of water politely from his help with a “Miyan, ek glass paani pilaoge?” — or an account from Abu Salem’s first wife Samira Jumani of Ibrahim’s apology for his brothers’ misbehaviour with her, are instances that illustrate a keen desire in most gangsters to maintain a veneer of honour and respectability. Rather than limiting the story of Mumbai’s gangsters to their operations in the city alone, Raval’s book traces her journeys from Mumbai to Bangkok, Dubai, Lisbon, London, New York, Atlanta, Morocco and Nepal, to track down gangsters or their families. Through this, Raval also delves into the transnational narcotics and arms trade Dawood and Rajan expanded to, and the deeper nexus of cooperation from “the most unlikely sources” such as spy agencies. While Raval has not yet interviewed Dawood — though his right-hand man Shakeel has promised one in the future — she was the only journalist allowed at the closely monitored wedding reception of Dawood’s eldest daughter Mahrukh to Junaid, the son of former Pakistani cricketer Javed Miandad at the Grand Hyatt hotel in Dubai on July 22, 2005. 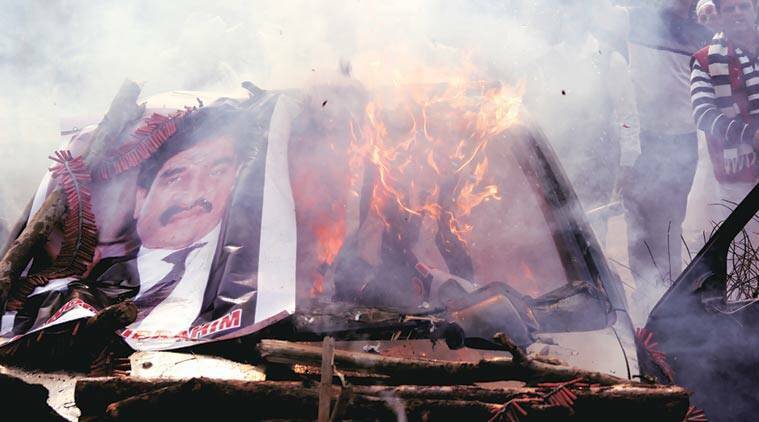 Raval’s book begins with a gripping account of how she managed to enter the venue and spot Dawood seated in a cordoned-off section, and the two exchanging greetings. She also gives an account of her conversation with Chhota Rajan, when the don was lying in a hospital bed in Bangkok soon after surviving an attempt on his life by D-gang sharpshooters in September 2000. Raval also writes about her multiple phone conversations with Chhota Shakeel over the years. Written in a racy style, Raval’s book is peppered with memorable anecdotes such as Mumbai’s only resident don Arun Gawli abruptly asking her to get up from a sofa during an interview in his stronghold Dangdi Chawl, only to show her a hidden recess where he could hide. An interesting facet of the book is Raval’s constant endeavour to balance herself on the “tightrope walk” as she describes it — to work strictly within professional limits while adhering to all legal parameters in her interactions with these gangsters. “I am aware at all times that any tilt towards a particular side, whether the criminals or the official forces, could cost me dearly,” she writes. One episode of the book deals with tapes of her conversations with Shakeel being played out in court, and her testimony in a case against the gangster. One drawback of Godfathers of Crime: Face To Face with India’s Most Wanted, however, is its careless editing. Some obvious errors in syntax have gone uncorrected, and those make the reading rather jerky in some parts.